Text source: Copyright © Operation China, Asia Harvest. Used with permission. 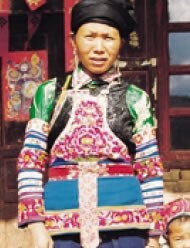 Despite the similarities in their names, the A Che are not the same as the Azhe people, another Yi subgroup located in Yunnan Province. 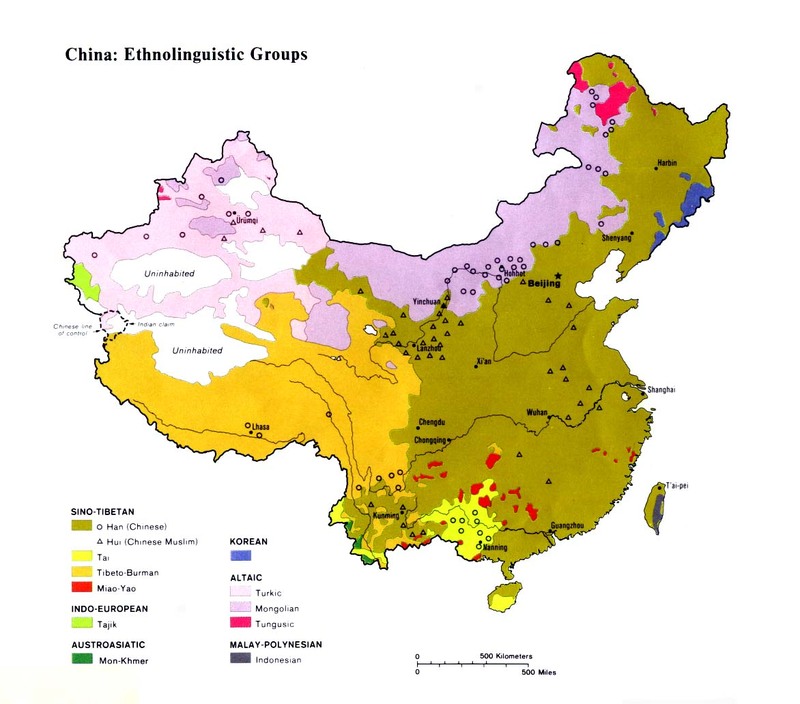 The Azhe live in Mile and Yimen counties farther to the east and speak a different Southeastern Yi dialect. Because of their inclusion in the artificially constructed Yi nationality (made up of more than 100 distinct groups), the A Che are mostly unknown to outsiders. However, they were mentioned in the 1953 national census of China. The A Che do not believe they are related to other Yi groups, in much the same way many of the numerous Native American tribes in the United States do not consider themselves historically, culturally, or ethnically related to each other. Despite their marked present-day linguistic differences, the A Che and the Azhe share similar origins. They say they migrated south to Jianshui County during the Sui and Tang dynasties (581-907). They were enlisted in the armies of the Luodian Kingdom. After settling in Jianshui for a time, some crossed the mountains into Yimen and Shuangbai counties where they gradually evolved to become the A Che. There are two important festivals unique to the A Che of Shuangbai County. The Open Street Festival is held every eighth day of the first lunar month in Damaidi District, and the Dragon Worship Festival is held on the second day of the second lunar month in Fadian Community of Yulong District. The A Che are polytheists. In the past, they claim they were closer to the gods, but then their line of communication with the Creator was broken. Therefore, they are now unable to enter heaven. Hidden away in some of the most remote areas of southwest China, the A Che are known to few outsiders. As a result, they are a completely unreached and unevangelized people. They have also never appeared in mission lists of people groups. The vast Chuxiong Prefecture experiences very little Christian witness. Added to the difficult task of reaching this group is the A Che's inability to read or speak Chinese. Evangelists to the A Che face a daunting communication challenge. View A Che in all countries. 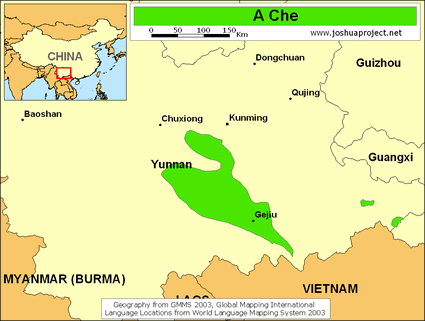 Location in Country: Approximately 35,000 A Che people predominantly live in Shuangbai (23,000) and Yimen (11,100) counties in the eastern part of Yunnan Province's Chuxiong Prefecture. Other A Che villages spill over into Lufeng and Eshan counties in Yuxi Prefecture. Most of the A Che in Shuangbai County are extremely isolated. In Yuxi Prefecture, on the other hand, some A Che villages are a mere five kilometers (three mi.) from Yimen City.